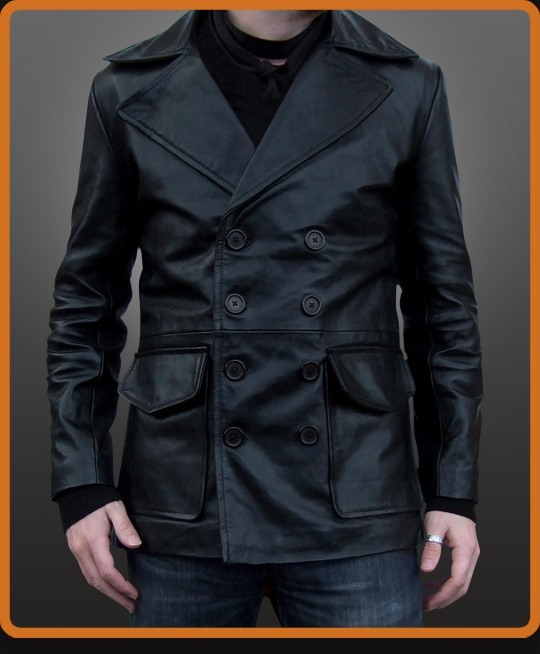 A fitted double breasted style leather jacket with oversized collar. Rear double split. A truly classic style. Available in Black and Antique Brown.